Democratic Leader Nancy Pelosi, right, greets Parkland father Fred Guttenberg, left, Wednesday in Coral Springs City Hall. U.S. Rep. Ted Deutch, center, hosted a roundtable to talk about gun violence prevention. 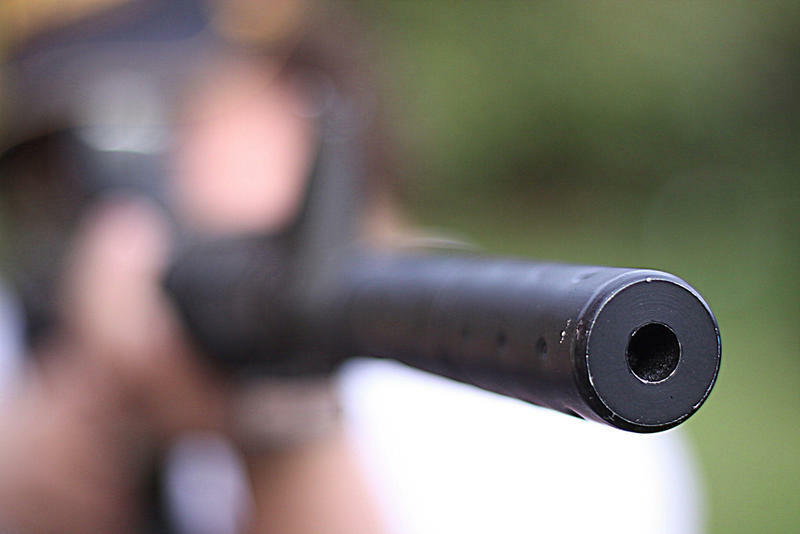 It's been a little over eight months since the shooting that took 17 people’s lives in Parkland. 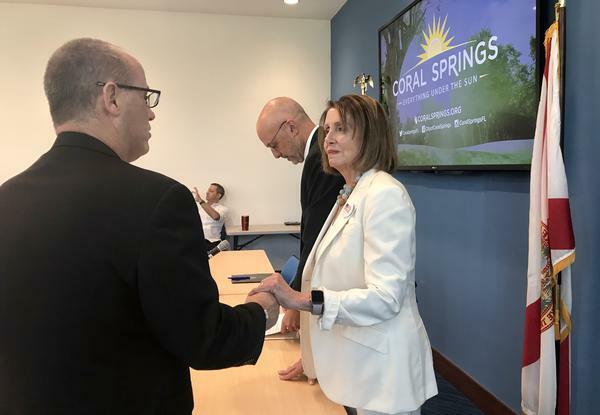 At a roundtable in Coral Springs City Hall on Wednesday, Democratic Leader Nancy Pelosi and South Florida Congressman Ted Deutch met with grieving alumni, parents and students from Marjory Stoneman Douglas High School. "All I’m ever asked is 'how are you, how is everything going?'" Sarah Stricker, 15, a student, told the lawmakers. "The only thing I’m doing is surviving - I can’t do anything else." Pelosi said she and other Democrats are "not going away." "We're here to listen, but I just want to assure you that we are hearing what you say," she said. Manuel Oliver, the father of victim Joaquin Oliver, told the lawmakers he is inspired to speak out because of his son. "I am still a father. I am still Joaquin’s father. And I am just playing my father role, protecting my kid’s legacy. And I’ll be doing that until the day I die…that’s how we do it," Oliver said. Senior Macie Chapman told the lawmakers she had been inspired to vote. "Growing up, voting's always a thing you just are, like, told you have to do,” Chapman said. “But when something happens, like happened at our school, you really realize how big of an impact one person can make - and I think a lot of people need to know that." On the five-month anniversary of the shooting at Marjory Stoneman Douglas High School, some of the students brought their "Road to Change" bus tour to Tampa.